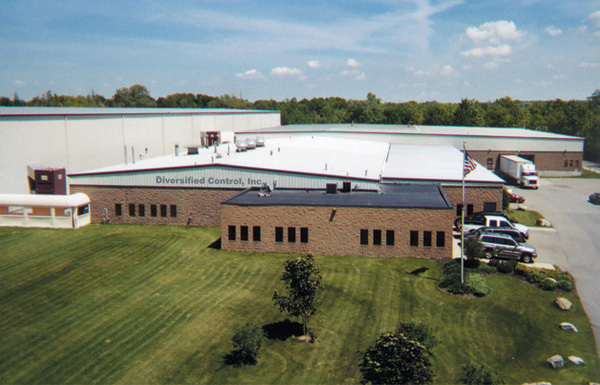 Diversified Control, Inc., is a first class provider of unique security enclosure solutions for the Telecommunications Industry and is intent upon living up to its name. Since 1981, quality locking devices and enclosures have been researched, developed and manufactured at our state of the art facility located in Orchard Park, New York. Our main objective is to provide one source for all your security and enclosure needs. Let’s start with locks. Locks get lost, dropped, and broken. Field technicians often fumble with too many keys. They sometimes forget to re-lock enclosures once they’re finished working on them. In response to these dilemmas, DCI has developed the StarLock™ family of products. These powerful, screw-type locks are designed to fit a wide variety of products. One key pattern is all that is required to protect a particular customer’s territory. Our SLAMLOCK® security system provides a self-locking feature that increases the field technician’s efficiency by easing access to enclosures without compromising security. There is no lock to remove, drop, or lose. Once work is completed the technician simply closes the door and the SLAMLOCK® is back at work. Thinking outside the box is no problem with us. We’ve been thinking outside, inside, and about the box for over 25 years. Our metal fabrication division supplies the industry with a complete line of weather resistant standard and customized metal enclosures that complement our locking systems. Our plastic division further expands the industry’s choice for polymer enclosures. The use of copolymers addresses corrosion problems and provides UV, crush, and impact resistance. The newest addition to our product line, the LINEFINDER™, offers field technicians for the first time the ability to perform installs, disconnects, or audits - even if the customer is not at home. DCI’s LINEFINDER™ promises to advance the safeguarding of the Broadband Industry with its patent pending technology. Through a commitment to research and development backed by the best in manufacturing practices and unmatched service, DCI will continue to help secure the future of the Telecommunications Industry. Let us help you secure your place in that future.